Who’s going to move the rocks? Last year, Georgia State’s oldest building and home of geosciences, Kell Hall, was set for demolition. The entirety of the Geology Department: all the rocks, chemicals and equipment must be relocated. So, how would over seven floors of history and 10,000 pounds of rocks from all over the world be moved? The Ph.D. student responsible for the move, R. Kirn, has the answer. Kirn estimated that Kell at its prime hosted more than 10,000 pounds of rock. 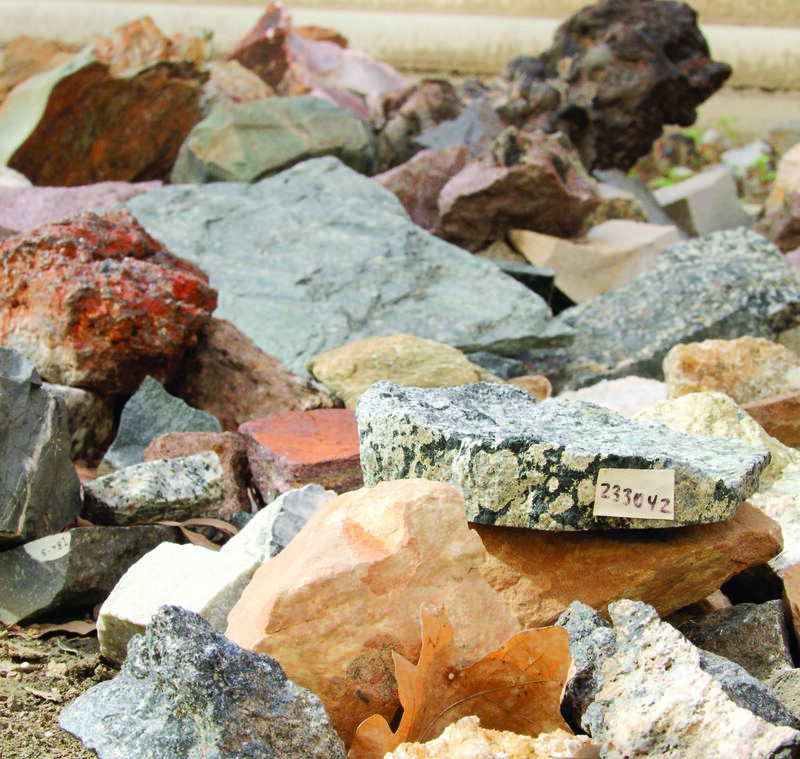 Whether it be tiny vials of minerals or giant slabs of granite, the clock started ticking before all of these rocks from all over the world would be reduced to rubble. While Georgia State utilized movers, Kirk said that it was only for about five crates each weighing around 20 pounds. The heavier rocks, such as the slabs of granite, were set to be left behind, but Kirk couldn’t let them go and instead, rounded up friends to help him move them. Because these rocks and minerals have been stored away in various labs for so long, he often would open up boxes in which he didn’t know what was inside, sometimes coming nose-to-nose with toxic chemicals such as asbestos and other radioactive elements. Kirk started his undergrad at Georgia State in 2009 and joined the geology department in 2013. He completed both his undergrad and masters at Georgia State and is currently working on his PhD. He said that through all his time at Georgia State, he’s become quite recognized and immediately took on the job. Even though he was compensated, however small that was, he said that he enjoyed it and it ultimately helped him know the rocks for the classes he teaches in the future. “Its understated how much you learn from just simply figuring out what it’s called, making a tag and putting it in a case. I would have done it for free,” Kirk said. Because saying goodbye to some of the rocks was so difficult, today, you can find the remains of Kirk’s work as the “rock garden” located under Sparks Hall in a side courtyard off of Gilmer. If you spot a few massive piles of rocks, you’ve made it.